As little as a decade ago company culture wasn’t even an aspect of candidate attraction. Heck, it was hardly a term anybody was familiar with. Today, company culture can be the make it or break it of your talent attraction initiatives. We now have cultural interviews, culture-centric job descriptions, cultural assessment tools, and your first line of defense, the culture career page. Some 83 percent of job seekers visit company career sites. In the wise spirit of never burying the lead, as the first point of contact with candidates, the career page needs to thoroughly inform the candidate about your company culture. Focus on these five (5) categories to land optimal cultural compatibility. I’m leading with this one for a very important reason: 89 percent of hiring failures are due to attitudinal reasons and issues with employees fitting the company culture – not due to a lack of skills. Employers need to learn to lead with their culture and stop putting such an emphasis on skill. Skills are not what we find lacking in most cases, and if they are, hard skills are far more easily taught than soft skills and cultural adaptability. Have your organizational values front and center, and be clear about the fact that your culture is based on these values. Candidates will either get behind your culture or they will self-select out of the application process (which is a good thing!). HubSpot has done a great job with their culture page, defining the values and characteristics of ideal HubSpot talent. It’s not enough to state you’re an equal opportunity employer if you truly want a diverse, inclusive, and welcoming organization. You have to encourage different workforce diversity segments to opt into your recruitment process by rolling out the welcome mat. 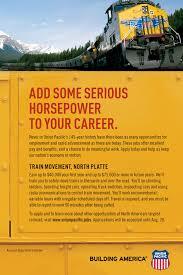 Check out how Fortune 500 company Union Pacific has done just that on their “Our Culture” page. It’s incredibly powerful to highlight your volunteer opportunities and community outreach programs. Additionally, job seekers put a lot of importance on the environmental impact their potential organizations have. For instance, 50 percent of respondents from a SimplyHired survey said they want to work for a green-certified company, and about 60 percent are looking for employers that at least recycle. Flex work, remote work options, and any sort of flexibility you can offer job candidates is a huge selling point for your organization. This generation does not live to work, they work to live, and they cherish flexibility. A recent study revealed nearly 75 percent of U.S. adults said flexibility is one of the most important factors they consider when looking for a new job, or deciding what company to work for. That figure has increased more than 10% from the previous year. Additionally, 39 percent of respondents have considered leaving, or have left a position due to lack of flexibility. If you aren’t already offering flex options, now is certainly the time to start. It’s a no-brainer you want the talent that wants to grow with you. So, show them how that will happen. There should be a dedicated area for your candidates to check out your training and development programs and opportunities. Highlight the fact that you’re willing to invest in their training and progression as a valued member of the organization. See how Cisco, a leader in facilitating and embracing remote and flex work, has made flexibility a highlighted part of their company culture. The culture page is now a staple of your company career site. Having one is non-negotiable because quality talent wants to find out what you’re about, how you do what you do, and why. The talent you want needs to want you right back — and your culture page is how you can nail that attraction. Greg Rokos is President and Co-Founder of GreenJobInterview.com. A 20-year veteran of the recruiting industry, Greg provides strategic direction for GreenJobInterview and is responsible for marketing its virtual interviewing solutions through client meetings, conferences, speaking engagements, key channel partnerships and other activities.